On today’s show I discuss the wonderful sweet potato. It’s readily available, inexpensive and very healthy. 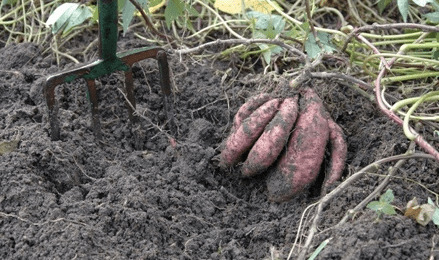 Grown all over the country sweet potatoes can be a part of breakfast, lunch and dinner. They are good in ethnic foods, baked goods, savory dishes and even in waffles.